Health and accessibility for the elderly generations. By 2060, it’s expected that the number of people with Alzheimer’s Disease will more than double. This makes early diagnosis and a proper care plan important steps for the future of our loved ones. Alzheimer’s is a disease that gets marked by a state of confusion and memory loss. It can leave a patient feeling overwhelmed, anxious, and depressed. Enjoyable games can help counteract this by bringing entertainment back into their lives. As they work to stimulate the mind and boost cognitive functioning. They also provide an opportunity for engagement, allowing you to reconnect. Take a look at the most fun and stimulating games for Alzheimer’s patients. This popular game gets recommended by the Alzheimer’s Association. As it may help to lower the risk of dementia. Sodoku offers a way to exercise the mind, using the challenge of logic and numbers. Sudoku puzzles work by using a number system of 1-9 to fill in a structured grid. But the trick is that you are not allowed to repeat any of these numbers, once used. It’s one of the games for Alzheimer’s that help to sharpen focus and problem-solving skills. Indoor golf games make for fun activities for Alzheimer’s patients at home. The best part is that it’s easy to make a golf game yourself. Do this by using a sheet of artificial grass or green felt fabric. Then cut a hole at one end of the mat for the ball to fall into. If they are able, the patient can stand up to play. Or let them sit in a chair to make it more comfortable to hold and swing the putter. There are many health benefits of golf that work well for those suffering from dementia. As golf is good for lowering stress levels and promoting brain health. Alzheimer’s patients often become confused and overwhelmed, which can cause depression. Playing golf can help bring happiness back into their lives. Here are a few more ideas to help ease depression. Clevermind is a digital game designed for those suffering from Alzheimer’s. The app is full of fun games and trivia to help exercise their brains. The interface also has voice-activated controls. So the patient can communicate by voice to find their way around the app. It’s also easy for patients to navigate and play on an iPad. Clevermind even includes features like a personal journal and tips on healthy eating. It also has social networking for patients to engage online with friends and family. Innovative technology has a positive impact on the livelihood of seniors. It allows them to remain connected and also produces new safety features in room design. Puzzles are great activities to keep Alzheimer’s patients busy and content. They offer an opportunity to hone problem-solving skills and use both sides of the brain. As well as let you sit together with the patient and enjoy each other’s company. Puzzles use shapes and colors to put the big picture together. Finding pieces that fit can help to stimulate pleasure centers of the brain. This can increase dopamine production and help ward off depression. You may even want to consider a custom-designed puzzle. This can include a family picture or favored pet as the puzzle background. It may end up helping to stir the patient’s memory or evoke positive feelings. Games like Go Fish are fun things to do with Alzheimer’s patients as they bring back a sense of nostalgia. It’s a great game for two people or more. The card game can help you to reconnect and boost engagement in the patient. Go Fish helps patients to make decisions and use their memory. It also causes the patient to focus on their deck. As they search for the correct card and work to memorize your own hand. Go Fish can get played with a standard deck of playing cards. Or special cards with fun and colorful fish on them. It also helps to get a playing card deck with larger print for seniors. The power of music can be a helpful tool in boosting memory and positive emotions. Choose a music selection that is from the patient’s era. This will help to trigger memories and promote a happy mood. Encourage the patient to sing along or dance. They may also want to tap their feet, clap their hands, or hum along. Playing the piano or a favorite musical can also be enjoyable and rewarding for the patient. Arts and crafts are a great hands-on activity and a way for the patient to get creative. Use thread or yarn for the patient to make necklaces or bracelets. They can then string on colorful beads or noodles. Engaging in art is a form of therapy for patients. It reduces stress, offers a happy distraction, and promotes self-esteem. Pottery and painting are other art-related activities that can appeal to a patient. Crosswords are a fun and easy way to pass the time. They also boost language skills and help work a patient’s memory. You can find these online or in newspapers and magazines. Or you can even make your own crossword puzzles tailored to the patient. This way you can choose words that may jog their memory or evoke happy thoughts. These activities promote brain health and enhance the livelihood of the patient. This makes games for Alzheimer’s patients an important part of memory-focused living programs. Read more here on other important features to look for in a community care facility. These games for Alzheimer’s patients offer enjoyment and a better sense of wellbeing. They provide a chance to reconnect and boost cognitive thinking. Some games may even be able to stir up positive memories. Playing games can also help lower depression and stress. This allows the patient to feel more fulfilled in their daily routine. This makes stimulating games an important part of a patient’s living program. As these activities work to help sharpen the mind during all stages of the disease. Here are a few more ways to improve brain health for your loved one. These days the in-home care service industry is on a high rise and many elderly people need such care. When you notice an elderly person in your house is severely affected, you should consider in-house care. This will be beneficial for the people in need. Moreover, this becomes even more necessary when there is no one at your home to take care of the elderly person in need. Since you want the elderly person to become safe, and independent you should prefer hiring an in-home caregiver. The community is vast, so you can definitely look for recommendations around you. You can consult with the professional and community members if they can help you with an in-home caregiver. Some of the effective people who can help you find the reliable homecare assistants include friends, family, attorney, medical providers or someone who is familiar with the industry. You can check around your local agencies to find the list of caregivers. Nonetheless, once you find the recommendations you can prepare a list for them. The in-house care services these days use specific technology and monitoring service to keep a check on the patients. You should research these technologies that they use. You should check how and through what all services they will be keeping a check on your loved ones. Apart from this, you should analyze whether you all can manage the time with that of your in-home caregiver or not. Before you begin with the final selection process you should select the experienced people in the industry. You should check if they have been associated with the Alzheimer’s Association or any of such experienced prominent organizations. Their involvement in such organizations will help you get an idea of how active these people have in the work and how successful can they ensure the treatment. Most of the times, you can check for the management staff of the in-house care services. Usually, these homecare assistants need to be committed, stable and maintain a positive reputation in the industry. You can either find them in the professional groups or local community. When you hire an in-house caregiver, you need to understand your liability. Apart from them, you should also analyze the ramifications. You can consider all your financial expenditures before making any final decision. Make sure to check for the taxes, insurances, backup coverage, training, and all the aspects. When you hire someone from the registered nursing service from the employment agency, you may need to pay taxes and other expenditures. However, if you hire any private experienced professional you will need to pay for the services. The private homecare assistants also offer proper protections and extended services. If you are hiring through an agency you should be sure that you understand their whole procedure. You should first ask them if they will allow you to take an interview of the person you will be hiring or not. You should also ask them how they will handle the situation if the caregiver does not meet your specific needs. In case of coverage what measures they will be ensuring should also be checked. You should ask them what the training process is for the potential candidates. Some of the in-house care services prefer changing the caring staff from time to time. You should check if the service you’ll be hiring follows the procedure or not. The time of the shift and the number of caregivers matter too. As per the standard regulations, all the caregiving services have the same service. However, there are certain qualities which may distinguish one company from the other. You should choose completely licensed elderly care services like home care John Creeks for the convenience. You can reach out to the homecare assistants who offer great services with flexible routines. Make sure to hire someone who can meet all your needs in time. Transporting elderly people can be quite a challenge especially if they are also sick. A caregiver can easily suffer from a mental overload because they have to juggle personal hygiene, food preparation, and other important tasks they perform for them on a daily basis. Add transporting them to and from the hospital, and it gets very exhausting for the caregiver. Even just helping the elderly to board and disembark a vehicle is a difficult and time-consuming exercise. So what do you do if you have an elderly loved one that needs to be transported across states for whatever reason? The best answer is non-emergency medical transportation services. Non-emergency transport ranges from cheap ground transport solutions to more expensive and specialized professional transport services that offer specialized transport for elderly people and other special needs categories. A useful transport provider should give a holistic service which means they will not just taxi the person from one point to the next. On the contrary, they will help the elderly to board as well as disembark and then they will ensure they are completely comfortable and adequately catered for throughout the entire journey. If your elderly loved one has some medical issues or is in a wheelchair, you want to get a vehicle that is equipped for that. There are some other important things to put in mind when transporting elderly people for long distances. For instance, if they will be sitting for long, they might get blood clots. Other scenarios like an overnight hotel stay, taking rest stops, care safety, constantly checking the insulin levels and remembering medications are other things that you must remember throughout the trip, and these are some good reasons why you should use long-distance medical transportation. Some families opt to travel alone with their loved ones because they figure it will be cheaper, but if something goes wrong during the trip, it could easily get more expensive than they had bargained for. If your elderly loved one has medical or special needs, it is best to hire a non-emergency medical transport provider. Since this is their daily job, they know how to take care of elderly people on the road so both you and the elderly member of your family can enjoy and not endure the trip. Transporting your loved one across the state can be done either by flight or by ground. The medical needs of your patient and your budget are the two determinant of the mode of transport that will be used. Sometimes, even if your budget allows it, the medical condition of your patient may make air transport undesirable. Whichever mode of transport you settle for, make sure there is adequate space and also confirm that they have all the medical equipment that might be needed for the journey. When choosing the best transportation option for elderly patients, cost should be the last thing you consider. While it is possible to get many good affordable transportation services, some will not give you value for your money. Insist on non-emergency transportation providers that will make your elderly patient as comfortable as possible. Nowadays we see people of each and every age suffering from the disease may it be acute or chronic , maybe they are suffering due to hereditary problems or due to some accidents, here the accidents may include applying any HIV infected syringe to a healthy person hence infecting him also may be applying it accidentally or maybe knowingly. Everywhere, we can see only sufferers irrespective of their age, some lose their legs due to an accident some have problems in legs due to aging or osteoporosis. Not only this many people these days are dying of asthma, dengue, malaria etc. this simply means that the immune system of today’s generation is not good enough to combat these disease-causing viruses for a long period of time. Therefore, in this article, we are now going to discuss various health issues that make a person dependent on some kind of support to provide balance to the body and how to combat them. Bulging hips and obesity: Many girls prefer wearing heels most of the time they are out for party or office work instead of preferring flats they prefer heels that lead to various problems such as bulging out of hips at an early age. Many people have poor eating habits that lead them to obesity leading to pains in the ankles and requirement of support. Varicose veins: Not only osteoporosis many people also suffer from leg pains due to varicose veins if they are obese or they have to stand for a longer period. Osteoporosis: Many times, we see people of old age having osteoporosis in which the bone loses it strength i.e. the bone density decreases in both males and females. In females particularly after menopause due to less production of the hormone, i.e. estrogen in females that protects females against osteoporosis this may often lead to minor to major fractures in both males and females. Due to this, they are not able to stand properly and maintain their balance due to which they need a constant support for walking that is easy to use and carry along with. Paralytic attacks: In addition, people lose their legs in an accident or if they suffered a paralytic attack then also they need a support to walk and become dependent on someone. Multiple sclerosis: People who are suffering from multiple sclerosis need canes. There is a destruction of a sheath known as myelin, which is present in the central nervous system leading to visual impairment, weakness, sensational loss etc. Therefore, at this time to provide support requirement of canes is there. Cervical/migraine: Wearing heavy backpacks to school or offices and even sitting in a wrong posture may directly affect the spinal cord of an individual and may lead to problems of cervical and migraine. Those suffering from cervical and back problems often affect their spinal cord hence leading to the weakness in the legs also resulting in problems in walking due to which canes support is a must. Folding cane: They are easy to fold once the work is over. Offset cane: It provides proper balance and its strips help maintain grip leaving no chance of accidental dropping. Quadpod offset cane: It is made up of lightweight aluminum and is not easy to break but easy to carry. Those people that are suffering from bulging hips and obesity what they may do is have a control on the food habits such as if they have a habit of eating too much of fast food they may reduce it, also prefer going on morning walks. As well as those who wear, heels all the time should prefer walking in flats, too else, in the long run, they will not be able to walk properly without canes. Now, those who are suffering from varicose pain they need to undergo an operation in order to reduce the swelling and twisting. Finally, those who are suffering from osteoporosis and paralytic attack need to take more of calcium and proteins in their diets otherwise walking with support such as canes for walking is the ultimate or the last option for them. Can Taking Care Of Your Elderly Parents Harm Your Relationships With Family? Every day approximately 10,000 Baby Boomers are reaching the age of 65 and becoming senior citizens. Many of the Baby Boomer’s parents are still alive, living into their 80s, 90s and beyond. By the age of 80 years old and older, most elderly men and women require some type of help. Will this help be provided by their senior citizen children or will it be provided by a home health care service? All across the country, Baby Boomers are trying to physically and financially care for their parents. Some folks are prepared for this task, while others have not prepared to care for themselves as well as their aging parents. With the advances in geriatric medicine, people are living longer, which places a burden on their children to care for them and ensure their safety. Nowadays, senior citizens are trying to care for their parents. Some seniors dread the physical burden of caring for parents who are no longer able to take care of themselves. Caring for your parent requires dedication and commitment. You may need to cut back on the hours you work or even quit your job to care for your elderly parent. In addition to this, you may have children still at home that requires your attention. 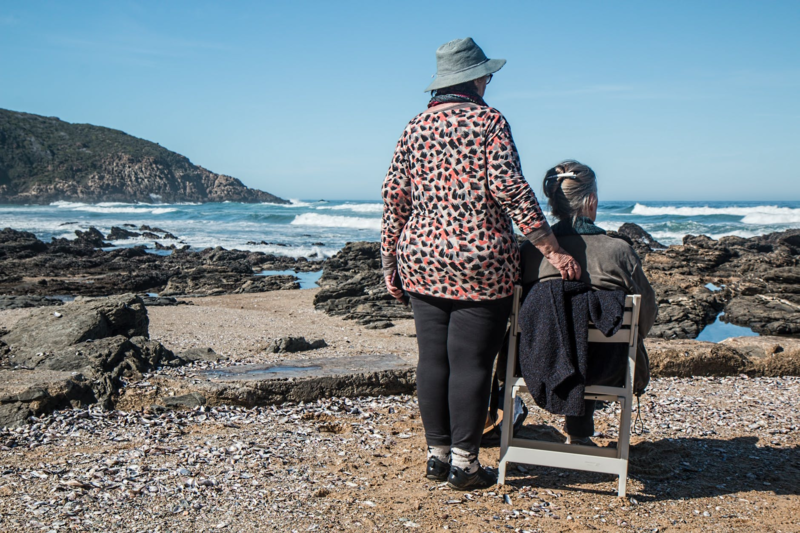 After the age of 65, Baby Boomers may also be required to care for their impaired sibling while trying to care for an aging parent and children who still live it at home. Countless family members step up and try to do what is needed. However, not everyone is physically or financially able to care for their parents and siblings. In the beginning, caring for your elderly parent may be easy. It may involve helping with a few tasks that mom or dad can no longer handle a few days a week. However, over time, your loved one’s health may begin to decline and you are left trying to do more tasks, increasing your burden. If your parent has properly prepared, they may be able to pay someone to help out. Alternatively, if your parent has not prepared financially for their senior years, you may need to step up and care for your parent. If you are unable to properly care for your parent, you may be left with a financial burden of seeking out home care workers or other assistant care services. This can cause resentment, issues between siblings and even hostility between parents and their children or between siblings. Is this preventable? In most cases, there are other options available. The first thing that should be done when you realize the extra care may be required is to sit down and have a meeting with your siblings to determine what can and cannot be done. Consolidating your parents account into one bank and allowing online access to oversee your parents’ finances and paying bills can be handled by one family member through a Durable Power of attorney. Before one person has an unequal burden, it is important to determine how the care of your parents will be handled both physically and financially. Family meetings every few months will help to keep everyone apprised of the current situation. Many sibling arguments occur because of assumptions rather than facts. A sibling may accuse another sibling of mismanagement of funds or the care provided because they are not kept up to date on the current situation. This lack of information can cause discord between family members. By staying in touch through emails, texts or phone calls, each family member can stay up to date on their parent and their parent’s care. If one sibling lives closer or is handling the day to day responsibilities of caring for their elderly parent, the sibling should ask for help when it is needed and realize that each sibling may have limitations on what he or she can do physically and financially. At Assisting Hands Home Care, we are here to help your parents, yourself and your siblings enjoy the twilight years. Our dedicated staff will work with you to develop a care plan based on your parent’s unique physical, emotional, spiritual and financial needs. Contact us today to learn about the different programs that are available and how you can allow your parents to remain in their home safely. Author Smart Health ShopPosted on May 15, 2018 Categories Elderly HealthTags Can Taking Care Of Your Elderly Parents Harm Your Relationships With Family?, parents elderly, parents that are elderly, taking care of elderly parents, taking care of elders, taking care of parents1 Comment on Can Taking Care Of Your Elderly Parents Harm Your Relationships With Family? Arthritis can be painful; and it can flare up at ages you wouldn’t expect. Although most people associate arthritis with getting old and frail, it can occur in teens and younger adults as well from certain usage of the hands. Although living with arthritis can be difficult, there are areas you can explore that can help. You do not have to live with the painful effects of arthritis unnecessarily. It may be difficult to completely alleviate all symptoms and pain associated with the illness, but it can be improved and you can be everything in your power to minimize and defeat painful arthritis over time. Here is what you can do that is in your control to lessen the symptoms of arthritis. There are certain supplements you can take over the counter to keep your joints lubricated and your cartilage soft and pliable. Eating a diet rich in omega 3 fatty acids containing high levels of EPA and DHA (mostly found in fish) can help to reduce inflammation and lessen the effects of arthritis. Similarly, glucosamine chondroitin can keep the cartilage more spongy and easier to work with without all the pain and swelling. Exercising has more of an effect than simply just keeping the weight under control. Daily exercise can also help to increase your blood flow and therefore circulate nutrients into the blood. It can also keep your blood pressure under control and relieve tension in your joints: there keeping your pain under control and not allowing it to flare up out of control. As fluffy as it may seem, alternative therapies to get rid of pain and discomfort can sometimes help to ease the pain associated with arthritis. Therapies such as yoga, massage therapy, meditation, and anything that keeps you mobile and helps you relax can be key to relieving the tension. Relieving tensions and reducing stress in the body can contribute to positive effects of controlling arthritis and overall pain in the body in general. Try out some arthritis pain relief gloves for added swelling support in the hands. These gloves help to increase compression in the hands and the wrists to allow for better blood flow and better nutrient circulation; in addition, the gloves provide added support to the fingers and allow for better mobility with additional support in order to prevent additional damage done to the hands and the fingers. I highly recommend trying out a pair for your pain. In addition, please read up on what a thrombocyte is by clicking the link in the text. Hopefully these tips to defeat and even prevent painful arthritis are helpful, valuable, and useful to you in your day to day life. Whether you currently struggle with arthritis, have so in the past, or have yet to struggle with it in the future, my hope is that these areas of advice will help you or a loved one through it in a time of pain. Have some additions to the list or have areas to contribute or constructively add to? Leave your comments and your thoughts below and we will be sure to have some interesting conversion around what you have to say! Looking to make your home more accessible due to injury, aging, or a loved one who needs assistance? You are not alone as there are times in life where many people are in need of a little help to either get around the house or get in or out of certain places within the home. In this case, we will take a look at some areas of the home that can be made accessible for either handicapped individuals or those that are elderly (even by using specific mobility devices). Even if in question of whether or not to put in some of these features, it is a good idea to begin to think about it as the days could come where their need will be fully utilized. When considering the tub and shower area of the home, the bathing areas should be considered for improved accessibility. Whether it is assistive equipment for bathing , or stairway swivel stair types of grips for getting on and off of the toilet, these features can be a great help to avoid slips and falls in the bathroom areas. If you think about navigating a home from a wheelchair, carpet sometimes is not the greatest option. A hard flooring such as hardwood, laminate, or nylon should be used for maximum mobility when on wheels. In addition, keeping doorway thresholds low and flush to the ground and avoid different types of transition pieces is also essential to ensure fewer bumps and no bruises from falling out of a wheelchair when navigating the home. All around the house will be options for lowering the height of areas to ensure accessibility from either a standing or a sitting position. For example, lower counter-tops in the kitchen and in the bathrooms can allow for individuals in wheelchairs to be able to reach anything on the counters without having to get up from out of their chair or ask someone else to reach for them. Outlets, sinks, and toilets can also be lowered (or raised if necessary) to ensure that individuals who had mobility needs can reach any area of the home. Consider these height options when making your home more accessible for everyone. Although very few people ever plan on needing assistance with their mobility in the home someday, the reality is that as we age and get older, we may need options to help us out and let us access all areas of the home. Using these tips for accessibility in the home can be helpful to serve certain family members who have needs and even yourself someday as you may enter a period where the need for options are there. Hopefully these tips were helpful, and we would love to hear your feedback in the comments section below.